One of the best phones of last year keeps improving with its latest release. The new Moto X hits stores later this month with plenty of cool features. 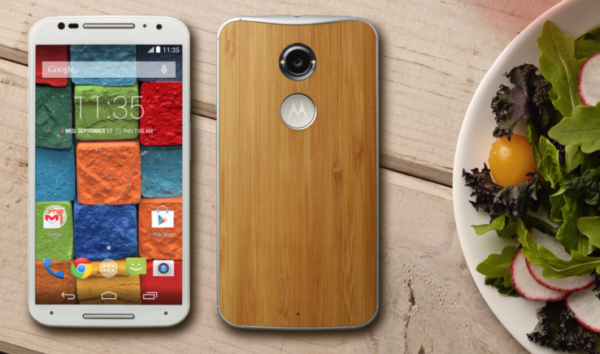 On the outside the Moto X shows off a sleek metal frame and a large 5.2-inch display with HD resolution. For video and photography lovers, it has a 13 megapixel rear camera and 4K video capture(!). The phone also includes four mics for improved sound capture. If you have 15 minutes to spare, you can use the turbo charging featuring to lock in a full 8 hour charge. Ah-maz-ing! Of course, the Moto Maker customization continues with the old standard and wood backs, and now includes a premium leather back. Onboard Moto Voice lets you voice operate even more operation such as Facebook and YouTube apps. An unlocked phone sells for $499.99 at Motorola.com, while a contract phone retails for $99.99. You can also pair this with the just-release Moto Hint to take yourself further into the future. LG’s back and now they’ve shoved a whole computer into a smartphone. 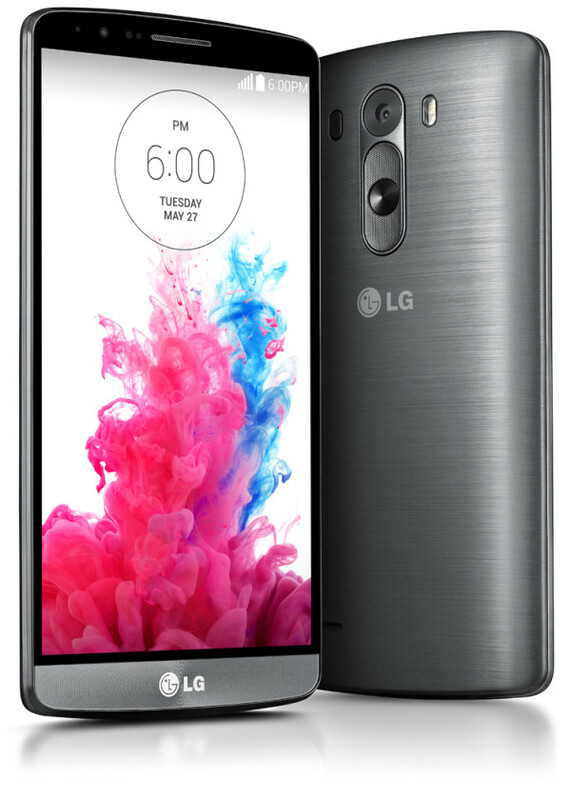 The LG G3 comes out in June and it possesses specs that will blow away most phones. Inside there’s a quad-core Snapdragon 801 processor, up to 3GB of RAM, 32GB of storage and space for a microSD card. The display measures 5.5-inches with a resolution of 2560 x 1440. The G3 also has a 13-megapixel front camera with laser autofocus. Technology is pretty awesome. With this phone, you’ll be able to autofocus and snap your pic at the same time. On the outside, LG calls the brushed metal-type plastic case a “metallic skin”. It combines polycarbonate with a scratch-resistant material. Choose from Metallic Black , Silk White, Moon Violet, Shine Gold and Burgundy Red for colors. Oneplus planned to design the ‘perfect smartphone’. The upcoming release of their Oneplus One just may do that. It offers an impressive list of specs for a very competitve $299. It starts with a Snapdragon 801 2.5GHz quad-core processor, the exact processor that powers the Samsung Galaxy S5. 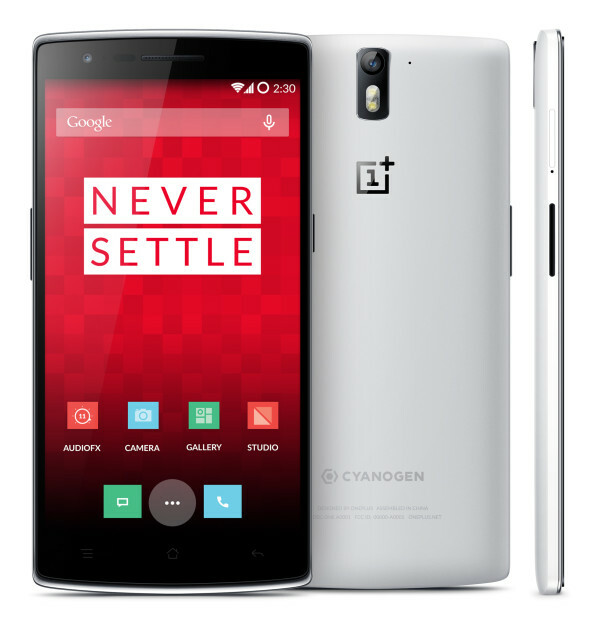 Onboard the Oneplus One gives you 3GB of RAM, a 5.5″ 1080p display featuring Gorilla Glass 3, 13MP rear-facing camera and 5MP front-facing camera and global 4G LTE. CEO Peter Lau wants to be “the MUJI of the tech industry”, citing the widely popular Japanese lifestyle and household products chain. It releases this week and it’ll be interesting to see how much market share it carves out. Prices start at $299 for a 16gb white version and $349 for a 64gb black version. Imagine buying one smartphone and then never buying another ever again. 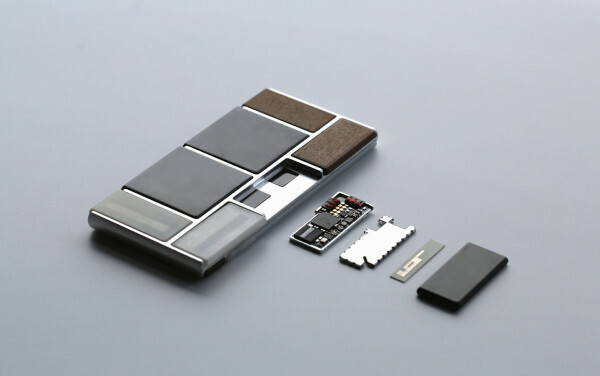 Google intends to make that a reality with its modular smartphone, Ara. They’ve targeted a January 2015 release date. When it happens, Ara will revolutionize everything from the manufacturing of smartphones to their buying and selling. Users can switch out the parts they want, speeding up the development of new functions and leading to a whole new ecosystem for the smartphone. Let’s see what Apple does to counter this. Solid Gold iPhone 5s: Can You See Me Now? How does one stand out in a sea of similar S4s and identical iPhones? You go for the gold. 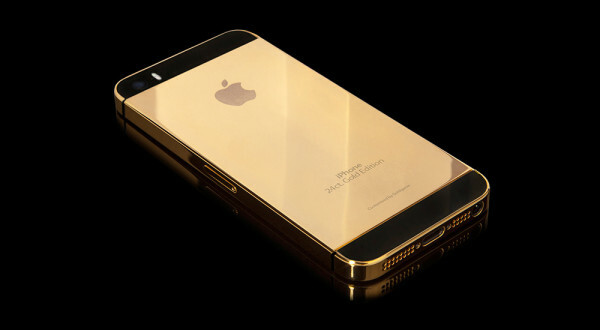 Goldgenie’s solid gold iPhone 5s ($3,289) is made from pure 24-karat gold and that will definitely get Siri jealous, so watch out for that. You can also choose from platinum or rose gold, and each phone is unlocked and comes in an elegant box Cherry Oak finish box. It’s not the absolute greatest use of solid gold we’ve ever seen, but it’s damn close. Those of you hoping to get the $349 Moto X on Cyber Monday instead received a full day of site outages and fail. It’s like Motorola’s site saw the upcoming onslaught of customers, curled up into a ball and whimpered ‘no mas’. The well-received phone was set for a huge Cyber Monday discount of $150, bringing the contract-free versions of the 16gb and 32gb phones down to a respective $349 and $399. Great deal considering the specs. Unfortunately, much like many of your hopes and dreams, it was not meant to be. However, props to Motorla for realizing their situation and correcting it. Their CEO, Dennis Woodside, came out today and issued an explanation and apology for the Cyber Monday snafu. They’ve decided to reschedule their promotion and add an additional day to buy, doubling the number of devices for sale (although how many is uncertain) and extending their 30% accessories sale. If we’re not live by 9:30 PM ET tonight, we'll offer the price promo @ Noon ET on Wed and again on Mon 12/9, doubling the devices available. So for all you Moto X fans out there, you’ll have twice the number of chances to score a great phone at a great price. We reached out to Motorola for a technical explanation on the site outages, but didn’t receive any response at this time. 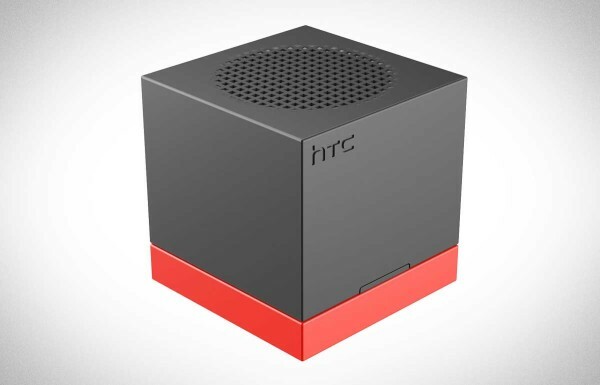 The HTC BoomBass is a Bluetooth speaker that really wants to make out with your smartphone. This mighty mite fits in your hand and doubles as a reclining smartphone stand, so your precious phone won’t get lonely when your need to hold a beer or a babe or a… um… bratwurst? I dunno. It’s got that hip new NFC action, so you can tap it with your HTC phone and get the party started faster than Amanda Johnson in the 10th grade. Google’s latest flagship phone has arrived and the Nexus 5 immediately gets your mouth watering when discussing its operating system (Android 4.4), KitKat. Despite it being a good deal less chocolately than that Kit Kat, this KitKat and the Snapdragon 800 processor promise very speedy performance. 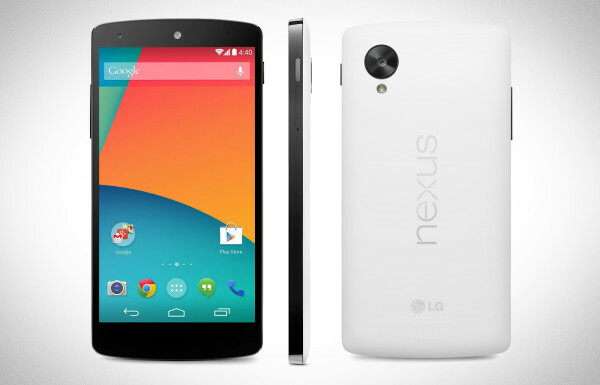 Unlike the Nexus 4, the 5 now supports LTE. It’s a 5-inch display with a 1080p resolution, and your camera is an 8-megapixel shooter with optical image stabilization. The price is $349 (16GB), and note that this is a totally unlocked phone. So, much like the chocolate-covered wafer candy, this thing is also pretty sweet.